This famous book is once again available in a new, revision edition. Professional magicians and reviewers have given this book an amazing reception. 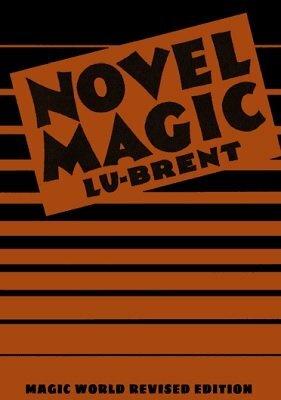 The reason is plain to see, for here is a collection of the very smartest magic, devised and used in his own act by Lu Brent, the topnotch Philadelphia professional. Those who know have called the book sensational, others, novel and original, while all highly endorse the practical value and the effectiveness of the magic that is so thoroughly explained and illustrated. There is something of value for every performer, as the table of contents will disclose. "Brimming over with clever tricks and ideas. Lu Brent has put his best in this book and you must have it for your library." - Steen Mfg. Co.
2nd edition 1946, PDF 64 pages.